We're ready to get sewing, woo! 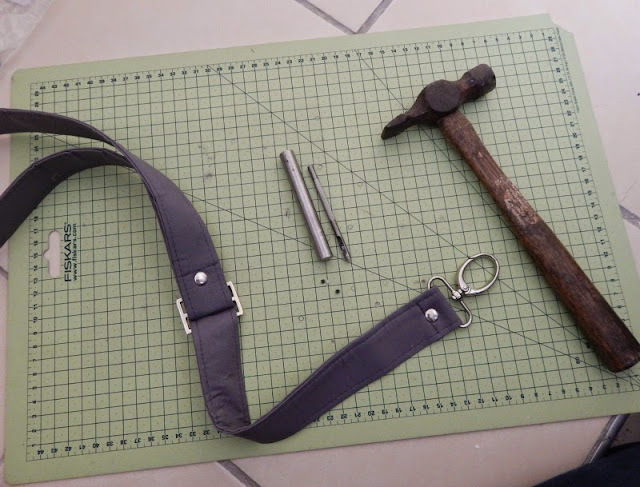 Today I'm going to show you an alternative method of making the handles and strap for The Nappy bag based on a technique Liz taught me. If you haven't already cut your handles and straps, then I'd recommend you read today's post before you do...I'm going off plan! If you've already cut the strap and handles then I recommend you join us when it comes to the folding. It is helpful to make sure you steam press (aka iron) your fabric before making your straps if you haven't pre-washed it. It can shrink a touch in the process. 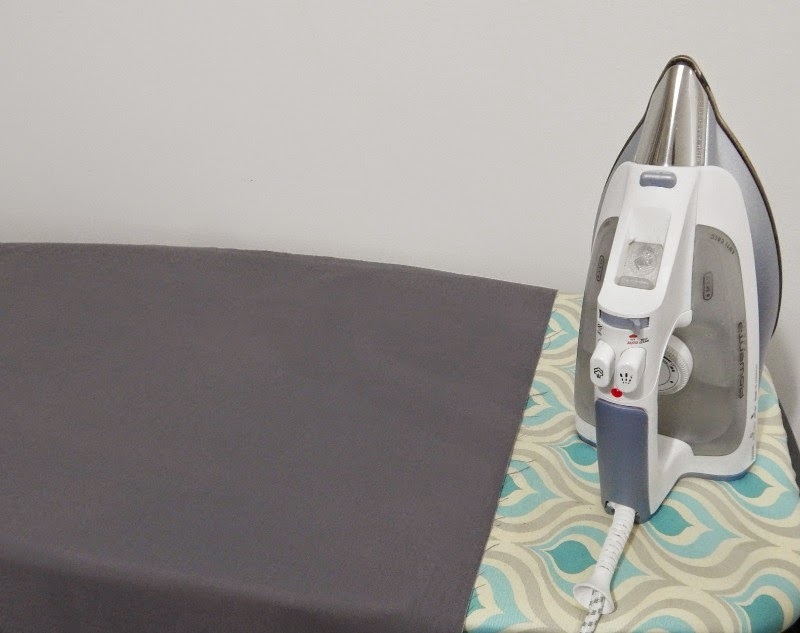 I like to give my fabric a good spritz of spray starch, sometimes called 'Easy Iron' to get an easy, crisp strap. I don't cut my strap fabric, I work with it as a whole and cut later. 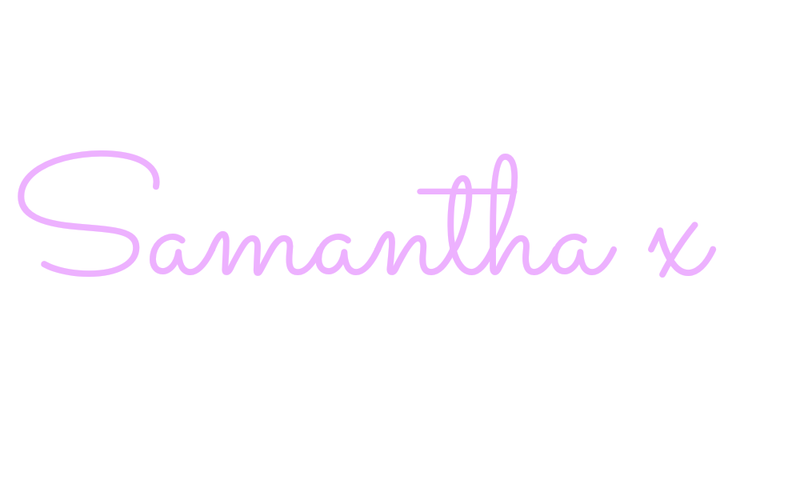 First up, the lazy life is my kinda life so I purchased some Fuse & Fold from Hemline. It's also available per meter from Vilene and probably from Pellon too. 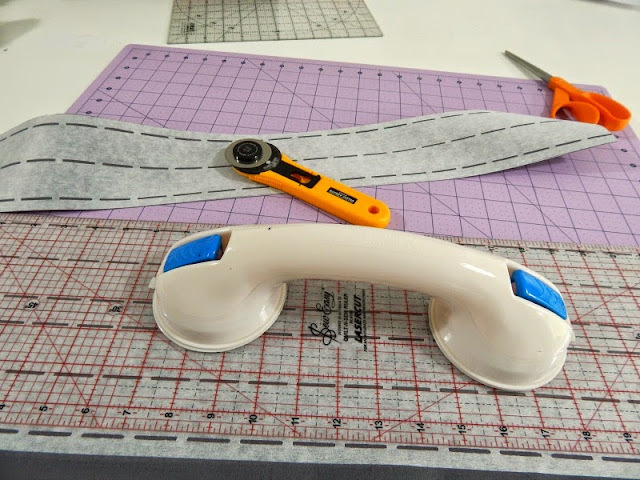 I cut two lengths 44" for the short handles, and one length 53.5" for the adjustable strap. The adjustable strap has the ends showing once made, so it's handy to cut the fuse & fold 1/4" shorter on each end so that you can fold them under to make them tidy. 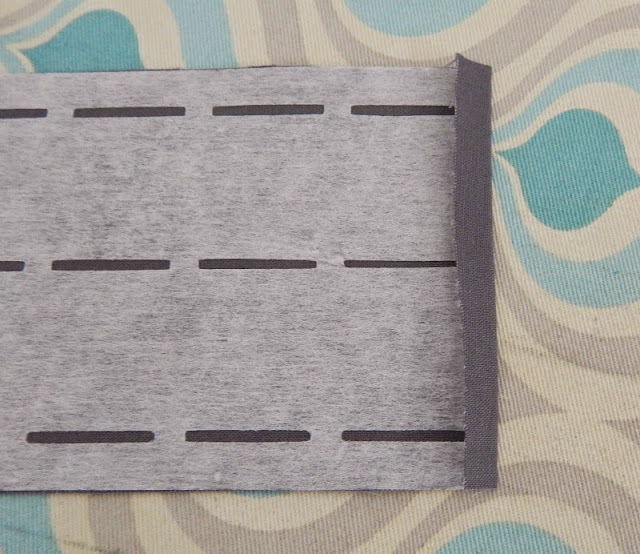 I placed my fuse and fold when cut to length a small distance from the end and just under the selvedge. I can trim it down to size later. Then I fused the fuse & fold for the short handles butted up against the strap. I like to place them side by side to make it easier when it comes to cutting, it's less wastage too. After fusing I take it over to my cutting table and start cutting the straps apart. Just remember there's 3 dotted lines per strap! 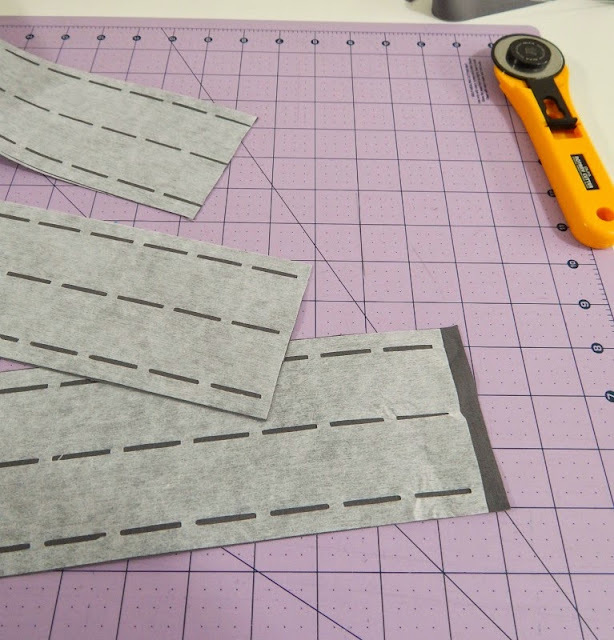 When you come to trim the short ends, the two short handles can both be cut right up to the fuse & fold, but remember to leave a 1/4" on each end of the adjustable strap. Press that short edge over to the wrong side and just give it a nice shot of steam and a press to hold it in place. 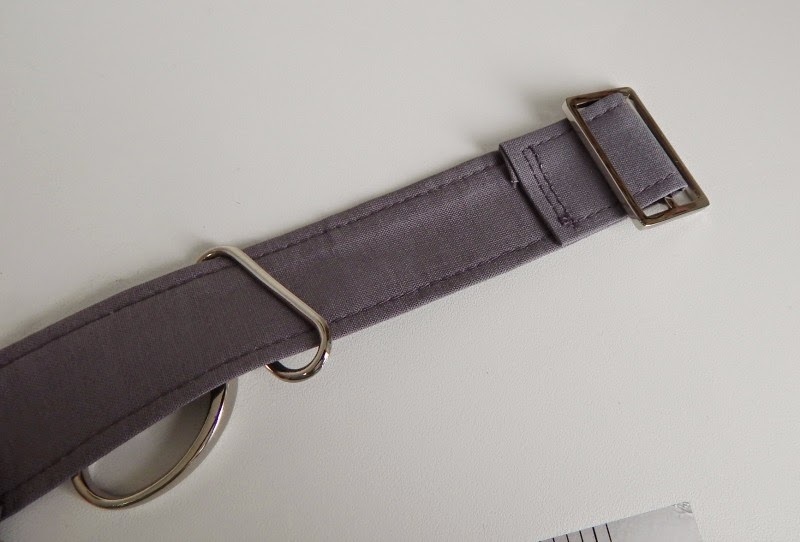 The main difference with this strap and the strap in the pattern is the folding. In the pattern you'll fold it in half to find the centre then open out and fold into the centre. 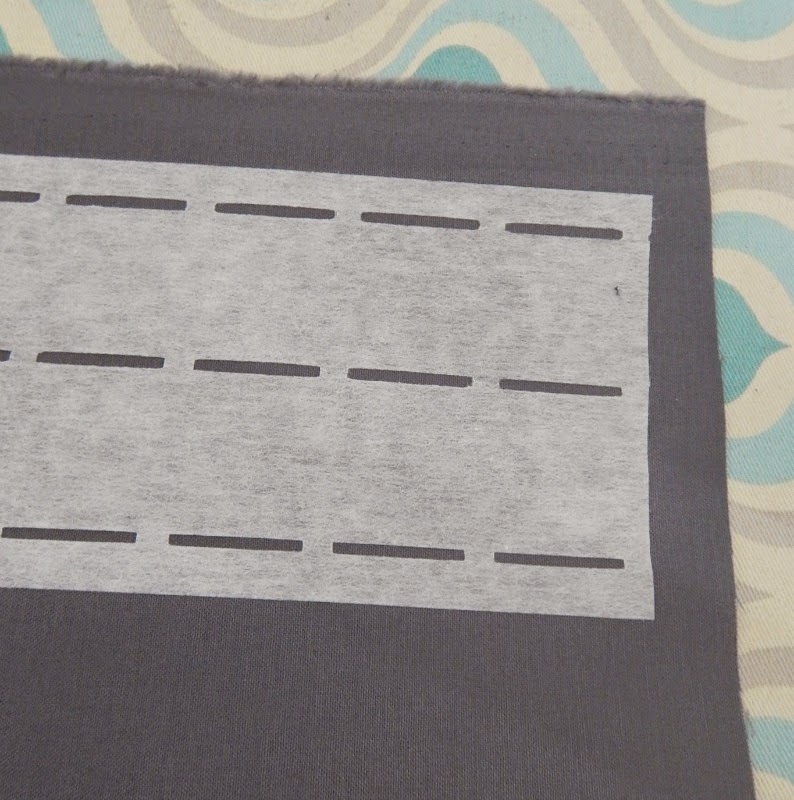 With the fuse & fold you're folding in a small amount on each long edge along the dotted marks. These make it really easy to press in place and you don't have to measure! Once you've folded the small edges on the long sides in, it's time to fold the whole strap in half along the dotted lines once more. Now it's time to sew. 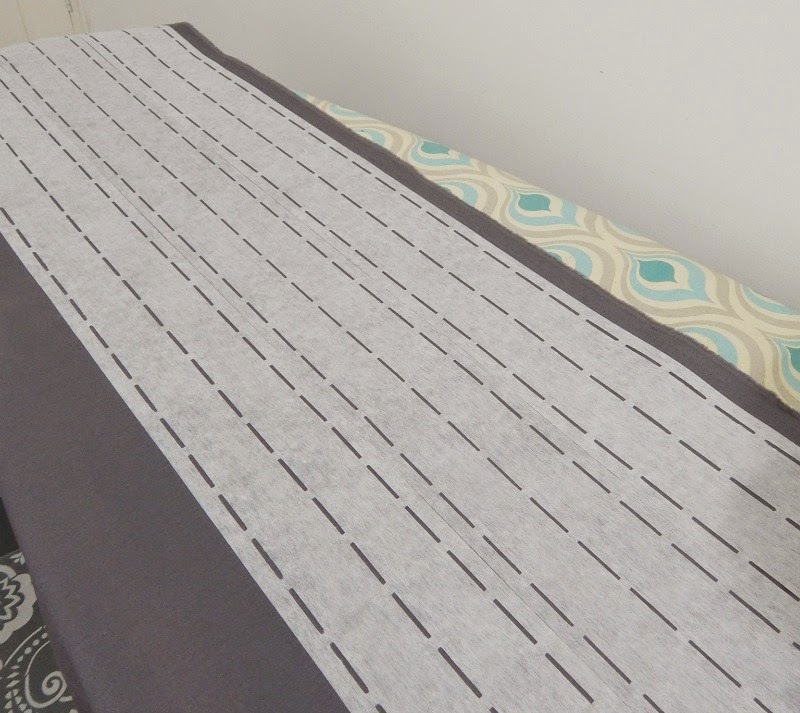 I like to lengthen my stitch length slightly to give a neater top stitch (usually from 2.5 to 3.5) and then starting on the open edge I stitch along 1/8" (3mm) from the edge. Stitching the open side first should prevent any shifting around. Stitch around all four sides and secure your stitching with a backstitch, or by tying off the threads. 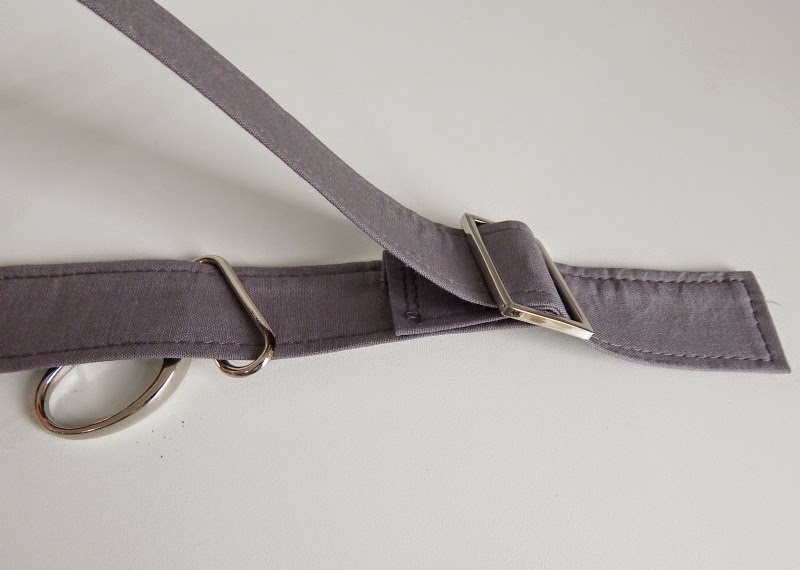 Now you're ready to add your hardware to make your adjustable strap with two clips. I'm assuming that your slider has a right side and a wrong side so I'm showing you how to make sure the right side is in the right place. First up, with the triglide right side up, slide the strap through from the back and fold over 1/2". The picture below shows the strap sewn down to secure with the triglide right side up now on the wrong side of the strap. By positioning your triglide like this, you'll eventually hide that secured strap end. There are different ways of making these straps but I don't like to catch that strap end while I'm wearing my bag, I prefer it to be hidden. If you want to add a rivet to this section, now is the time to do it, but make sure the 'nice' rivet cap is on the 'right side'. I.e. if you were looking at the picture below with a rivet fitted you'd see the wrong side of the rivet. 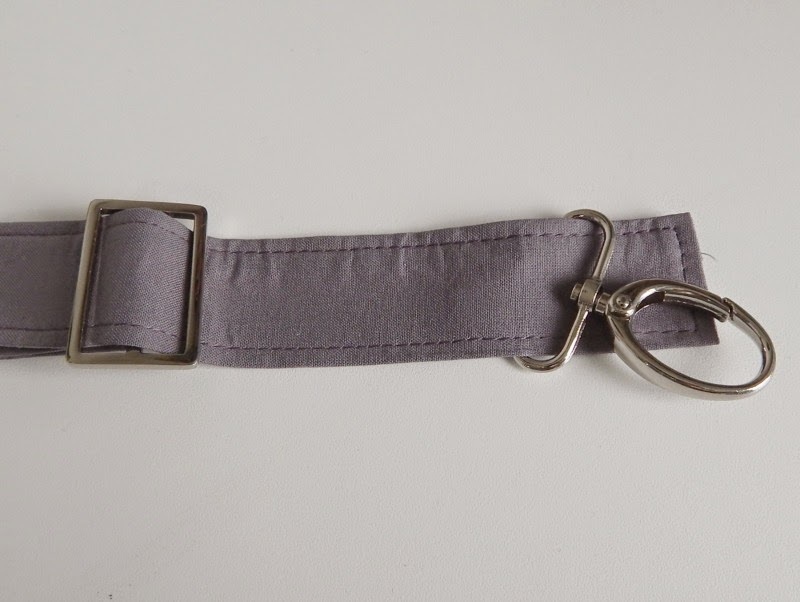 The with the strap as pictured above, slide on one of your swivel clips, with the clip underneath the strap. So now the right side of the triglide is on the same side as the wrong side of the swivel clip as pictured. 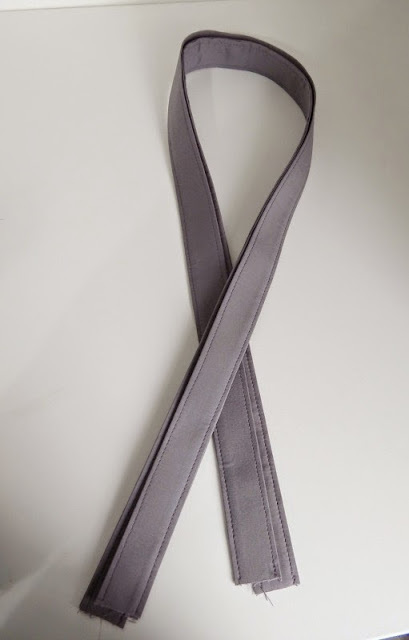 Then without twisting the strap, just folding it back on itself, thread the end over the secured strap end, and through the triglide out the other side. Can you see that we're hiding the strap end that's been secured by doing it this way? Now to make sure that the nice sides are all the same, slide the second swivel clip onto the loose strap end with the clip right side on top as pictured. Fold the strap end under 1/2" (2.5cm) and stitch to secure. 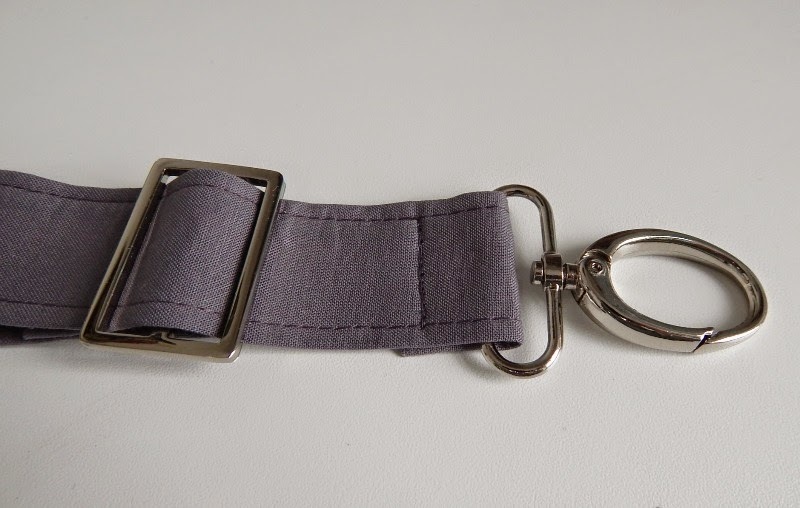 If you are adding rivets then this is the ideal time to add one to the strap end you've just sewn as pictured. I like to keep a hammer and a grotty old cutting board in my scullery and fit my rivets on the floor. It reduces reverberation to ensure a great fit. 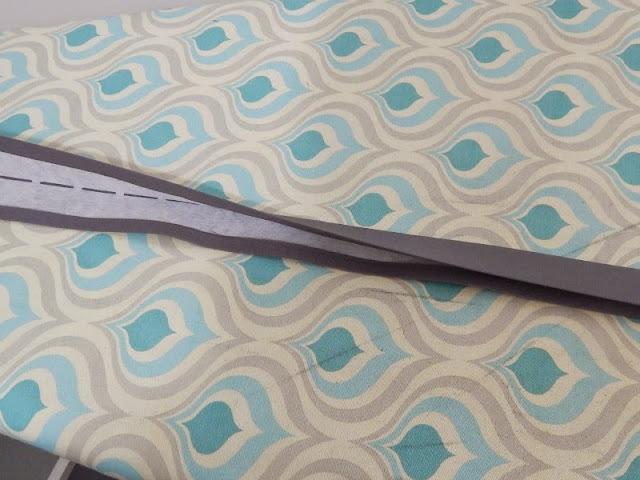 Your adjustable strap is finished and it's time to fold and sew the short handles. 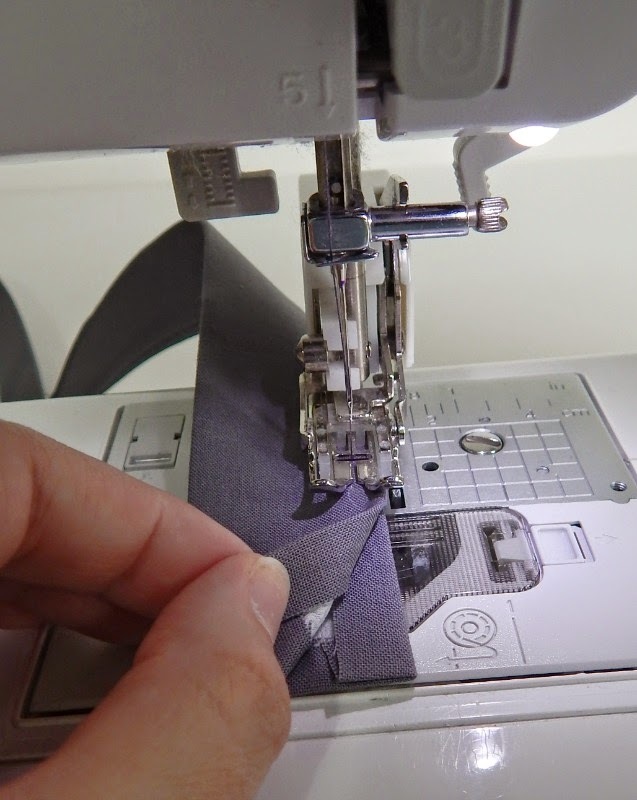 Repeat the folding and sewing process for the short handles, but without folding under the short edges by 1/4". These will be hidden in the seam allowance when you put your bag together. Pop your strap and handles to one side, we'll be talking about exterior pockets next! I've chosen to make my bag into a laptop/folder bag out of faux suede headliner to match my Manhattan bag, and I'll be back to tell you more about it next week, it's a great new product for bag makers! Don't forget to share the pics of your straps on the facebook groups, little by little we're building to a great bag! Oooh that iron on stuff is clever! 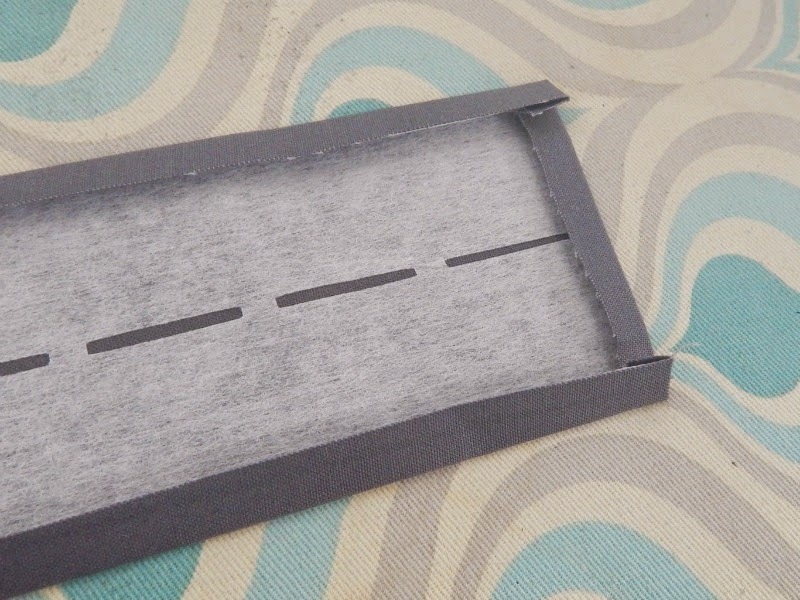 Is the strap slightly thicker at the open edge than at the folded edge? I still marvel at any method that doesn't involve a tube that has to be turned inside out!!!!!! Cool "recipe" for strap success. Running behind due to orders and cataract surgery. Years ago I used something like the fold and fuse for waist bands. Can't wait to get some fold and fuse for straps.